Today we're pleased to have Dr. Kevin Kirby, DPM as a guest on our podcast. 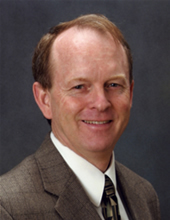 Dr. Kirby has been a practicing podiatrist since graduating from the California College of Podiatric Medicine in 1983. Dr. Kirby has authored or co-authored 26 articles in peer-reviewed journals, has authored or co-authored five book chapters, and has authored four books on foot and lower extremity biomechanics and orthosis therapy, three of which have been translated into Spanish language editions. He has invented numerous techniques and tests used by podiatrists around the world, and has lectured internationally on 33 separate occasions in China, Spain, Belgium, New Zealand, Australia, England, Dominican Republic and Canada over the past 23 years on foot and lower extremity biomechanics, foot orthoses, and sports medicine. He has also lectured extensively throughout the United States. He was also a national caliber elite level runner in his younger years, so he knows what it is like to train hard and run fast. The bottom line: this gentleman knows his stuff! Is there a "best" shoe for every runner? What does the research say about footstrike patterns for runners? Is there an optimal or preferred footstrike? How does running speed impact footstrike? What has been learned in a lifetime of running, and nearly 30 years as a practicing podiatrist? How can we discern between true experts who can and will give us sound science-based advice, vs. the self proclaimed experts found on many websites? And more, including some great practical tips and advice for runners of every age and ability level. More: In 2010, Dr. Kirby was asked by Runner's World magazine editor, Amby Burfoot, to participate in a "Barefoot vs. Shod" debate in Runner's World. That article can still be read online here. On his website, kirbypodiatry.com, you will find a plethora of published articles and papers, as well as video links to a lecture series on barefoot vs. shod running. We definitely recommend you check these articles and videos out - the page is truly a treasure trove of interesting reading for anyone interested in running biomechanics. In the podcast, we talk about a video Dr. Kirby used in his presentation at the conference, comparing footstrike from the elite male leaders at the 2010 Boston Marathon. You can see that video here. Of the six elite runners in the video, 3 are rearfoot strikers and 3 are midfoot strikers. Dr. Kirby recently wrote an article titled "Emerging Evidence on Footstrike Patterns in Running," published in Podiatry Today magazine. This article does a great job of summarizing some of the research references we discuss on the podcast. Also, if you haven't yet downloaded our own FREE e-book titled "Baby Steps: A Runner's Guide to Feet, Shoes, and Dating," you can do that here. Lastly, we'd like to convey our sincere thanks to Dr. Kirby (and to you!) for joining us for this great podcast. Happy Trails!